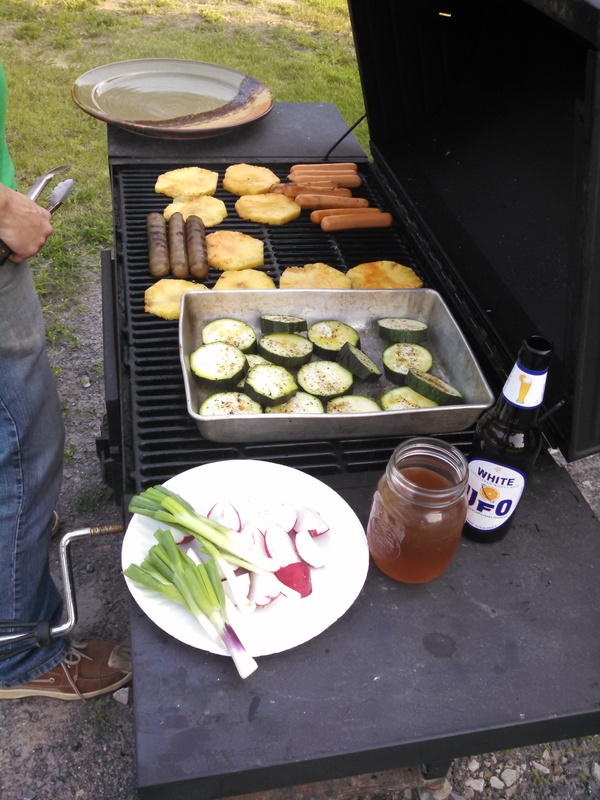 Last night, Farmer Ben and I practiced our right to grill and had a pretty delicious meal of chicken hot dogs, vegan beer brats (I’ve been really digging Tofurky brand sausages lately-Ben thinks I’m such a weirdo! 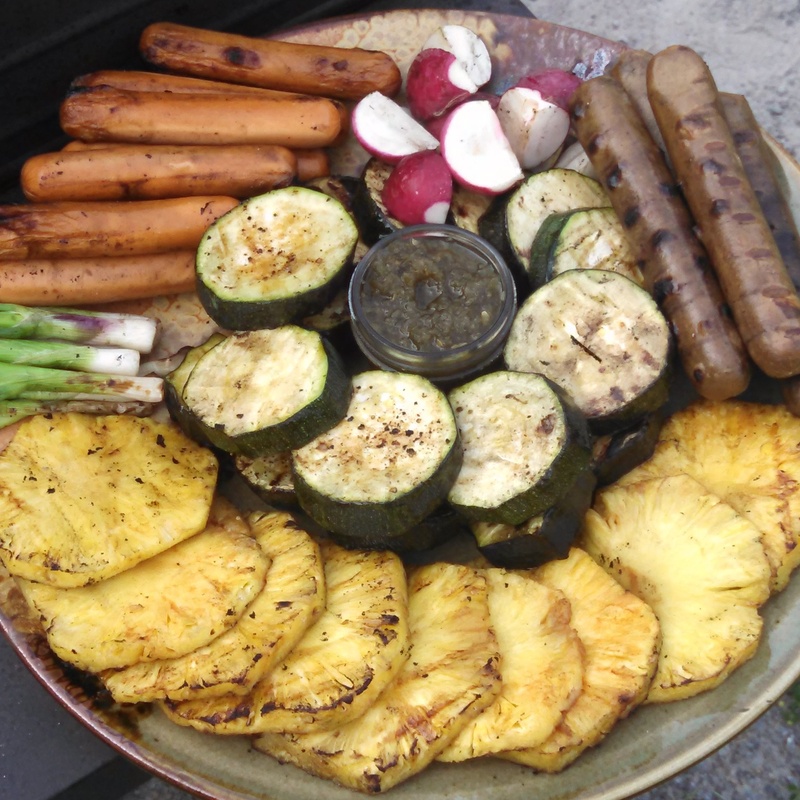 ), zucchini, radishes, scallions and hot sauce-dipped pineapple. Everything was delicious… but we probably went a bit overboard for two people (We also had cheese and baguette). Luckily, I have lots of leftovers to eat while Farmer Ben is feeding the masses today. I may have eaten some for breakfast, paired with some iced mango-black tea I found at Trader Joe’s earlier this week. Honestly, I can’t complain about this day one bit… it started with delicious food and some quiet time before doing some work. That feels like a total win! Anyway, remember to take a moment to thank those who serve and protect our freedom today! What are you doing to celebrate the 4th?